This is one of the stars of the show at what has become one of my very favorite auctions of the year. One thing that makes me happy about this car is that it comes from one of the most confusing car company histories ever: the Clement and Talbot mess. I find it fascinating. I’ve covered it multiple times before (perhaps I should dedicate an entire post to it sometime) but here’s the quick version: Adolphe Clement-Bayard joined Alexandre Darracq’s Gladiator to form Clement-Gladiator. In 1903, that company split – Darracq was already gone, having sold Gladiator years prior. Clement-Bayard started his own car company under his hyphenated last name but still owned a large stake in Gladiator-Clement, which he renamed Clement-Talbot after having been joined by Charles Chetwynd-Talbot. Gladiator soldiered on as its own marque. By the end of 1903, Talbot bought out Clement-Bayard and the 1904 cars were known only as Talbots (the history of this company gets even more confusing later on). So you’re looking at a transitional automobile. One that was only produced for one year. This car has a 2.7-liter straight-four making 18 horsepower. The coachwork is by J. Rothschild of Paris and it’s well-equipped and wonderful. It has been in the same family for the last 77 years and has been recently overhauled – so it’s ready to run. It should sell for a solid $570,000-$730,000. Click here for more info and here for more from Bonhams in London. 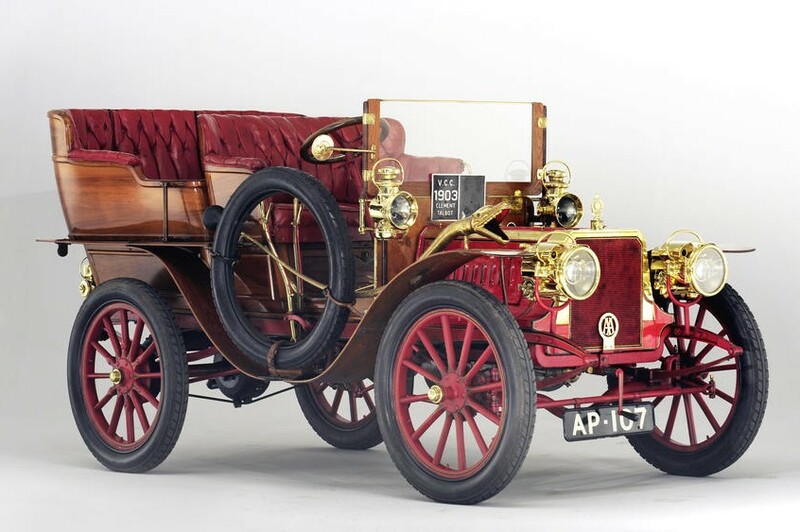 This entry was posted in Uncategorized and tagged 1903, auctions, Bonhams, cars, classic cars, clement-talbot, four-cylinder, roi-d'italie, rothschild, tonneau, type ct4k by classiccarweekly. Bookmark the permalink.